We recently trekked up to the Alps to attend the 16th annual Rallye National du Laragnais. 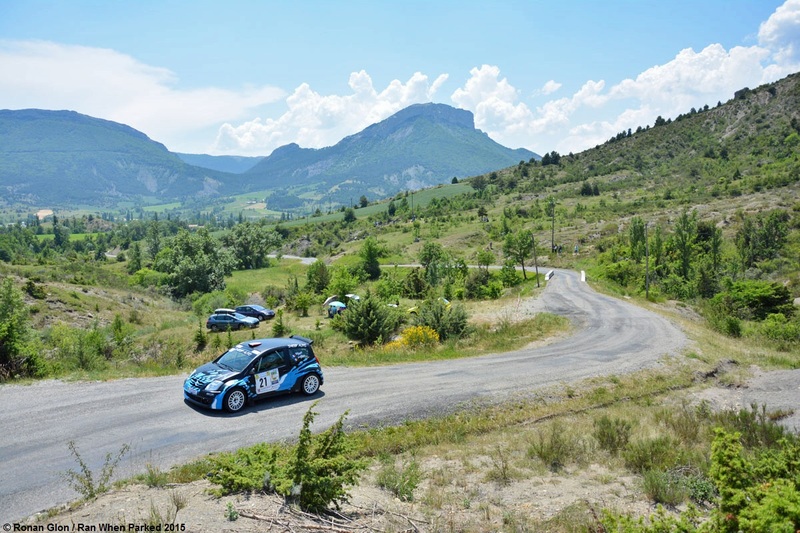 As its name implies, the race took place in the general vicinity of Laragne, a small town located about 20 minutes away from Sisteron in the lower French Alps. Held over the course of the weekend, the race was split up into several stages that each competitor had to do twice. It took place on closed public roads that were narrow, fast-paced and very windy, and a handful of cars – notably the orange 205 pictured below – ended up stuffed in a wall, a ditch or a tree over the course of the weekend. The cars were split up into two main groups: the first few racers were classics including a Porsche 911, a first-gen Volkswagen Golf GTI and a pair of seriously quick Alfa Romeo GTVs. Once the classics were out of the way, the race was opened up to more modern cars that were split up into a couple of sub-categories. Surprisingly, the E30s, the Simca 1000 and the Talbot Samba were all lumped in with the newer cars. Since the Rallye du Laragnais is a relatively important national event, the cars that raced were generally a lot nicer than the ones you typically see at local and regional hill climbs like the one we covered a few weeks ago. Peugeots were surprisingly well represented – out of nearly 65 cars, we counted about two dozen 106s, 205s, 206s and even a few 207s. Purpose-built rally cars (like the Fabia and the Fiesta pictured below) were evidently the fastest of the pack, closely followed by the BMW 318 Compact. We’ve compiled a gallery of the pics we took during the event. Unfortunately, an ankle injury sustained during the race prevented us from moving around too much, which explains why many of the pics you see below were taken from the same angle. Tags: Citroen, Peugeot, Peugeot 106, Porsche 911, rally, Rallye, Renault, Renault Clio. Bookmark the permalink. Wow thanks for the snaps !! Love the Simca – the Talbot Samba is great and the R11 is superb but as a former owner of an AX and a 106 you can guess which of these gave me the biggest thrill !! AXs and 106s are hugely popular in these events. Base models weigh what, 600ish kilos when new? Strip them out and you can probably get them down to 500, add a 150-hp engine and you’ve got quite the power-to-weight ratio. I used to have a Saxo with the 1.4-liter four-cylinder, a guy gave it to me because he thought it was dead but all it needed was a battery (no comment, ha). Anyway, I thought of turning it into a hill climb car but I ended up selling it – I kind of regret that decision. the vw looks like it is raising the left rear wheel. the simca does look great, there are all simca racing videos on youtube, which are fun to watch. did the yellow #87 blow a motor? The VW is on three wheels, yep – one of the C2s is on two wheels, too, ha. 87 blew an oil cooler hose and, consequently, the motor.